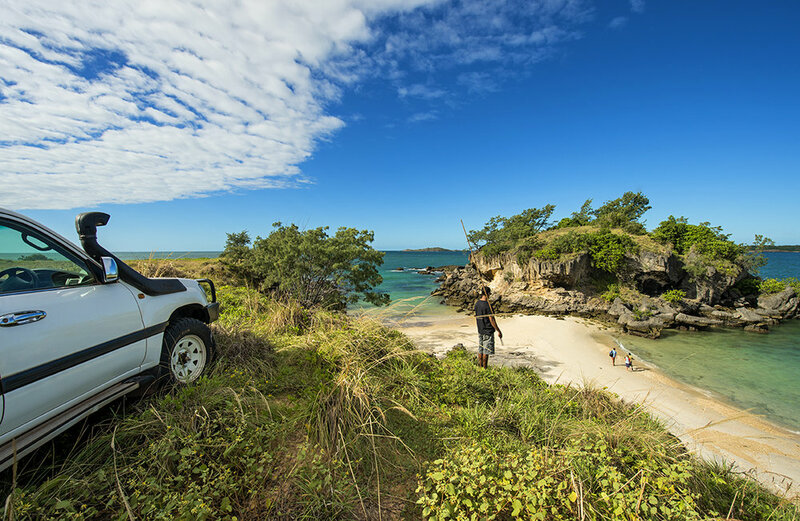 Stay on an East Arnhem Land homeland. Visit a Yolŋu Homeland and become part of a small family community. Feel like part of the Yolngu family, take part in daily activities and make lasting friendships. When you visit a Yolŋu Homeland on a Lirrwi tour you become part of a small family community Expect to be made to feel like part of the family, take part in daily activities and make lasting friendships. You will likely receive a welcome to country, or smoking ceremony at the beginning of your stay. You will also learn about Yolŋu kinship, traditional lore and language, both spoken and sign. Throughout your visit you will participate in any number of activities from weaving to traditional spear fishing, gathering of bush foods and medicine, to dance (Bunggul), storytelling or learning how the Yidaki (didjeridu) is made and played. In the Yolŋu world it is traditional for men and women to undertake activities separately, such as weaving, or fishing or food gathering . Your guide will advise you on which activities are gender specific. Yolŋu life is a lot less regimented than in the western world. Be prepared to leave your watch and smartphone behind and not follow the itinerary precisely. Yolŋu life is much more in sync with to the environment, wildlife and climate. By going with the flow, you’ll be delighted by the unexpected, perhaps a quick beach stopover to spear a fish or catch mud crabs! Also remember culture takes precedence over tourism, so in the event of a ceremony or funeral, alterations may be made to the itinerary. That’s the beauty of having so many homelands! People who come to Arnhem Land with an open mind and a willingness to respect and learn about our culture always go away feeling different to when they arrive. Many of our guests call it a life-changing experience. To step outside the comfort zone of everyday life can bring great rewards. This is what makes a visit to Yolŋu land so special. Lirrwi Tourism provides a range of tour options suitable for a range of visitors including the ability to fully customise your adventure in culture. A five day, four night adventure to homelands for the independent traveller. Women-only tours designed to connect with your Aboriginal sisterhood. Art for the Yolŋu people is a way to express identity, ancestral law and ownership of land. Motivate and inspire your team with a weekend of corporate cultural awareness. Bring your class to a Yolŋu homeland for some extraordinary curricular activities.